BRUSSELS (AP) — Defense Secretary Jim Mattis on Thursday said Russia’s deployment of nuclear-capable missiles in violation of an arms treaty is “untenable” and unless Moscow changes, the U.S. will have to match that military capability. Speaking to reporters at the close of a NATO defense ministers meeting, Mattis said the U.S. is reviewing its diplomatic and military options because of Russia’s continued violation of the 1987 Intermediate-range Nuclear Forces Treaty. “There was no disagreement about the fact that the Russians were in violation here among the nations,” he said, but declined to say what options the U.S. is considering. “We will respond as we think is appropriate. But we are trying to bring them still back into compliance. Now is the time. It’s gone on long enough,” Mattis said. 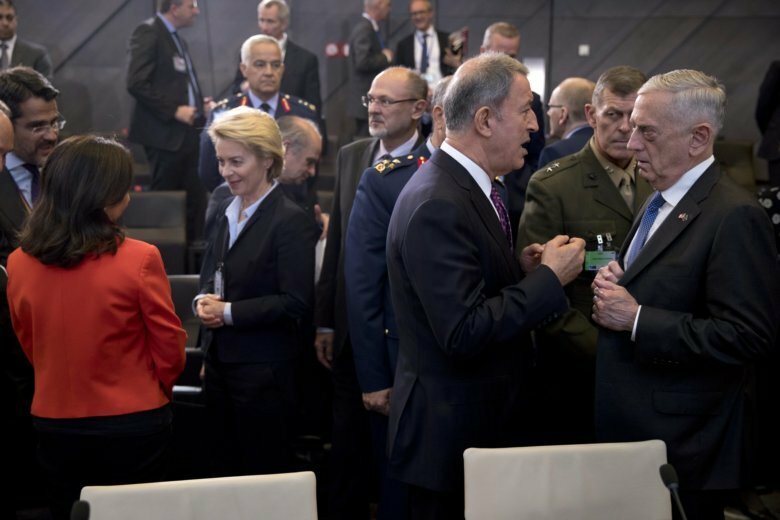 His comments underscored assertions made Tuesday by Kay Bailey Hutchinson, the U.S. ambassador to NATO. She warned that unless Russia complies with the treaty, the U.S. will be looking at ways to “take out” the system. America, she said, doesn’t want to violate the treaty but Russia could force its hand. She later said she wasn’t talking about preemptively striking Russia, but making the point that Moscow needs to adhere to the treaty. The U.S. has argued that Russia’s 9M729 system violates the Cold War-era pact that bans an entire class of weapons — all nuclear and conventional ground-launched ballistic and cruise missiles of intermediate range. The treaty was a landmark in arms control in the final years of the Cold War.